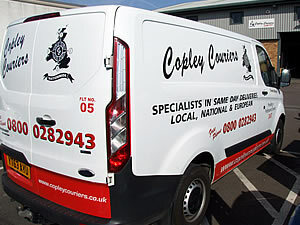 Copley Couriers of Sheffield, South Yorkshire offer a same day, point to point collection and delivery service nationwide and throughout Europe. We offer a secure service be it an envelope, parcel or pallet using only our own fully employed drivers to the UK, Europe and beyond. With £10,000 goods in transit insurance, secure storage and the Navman tracking system, our clients are always aware of exactly where their goods are. Perhaps that is why we have grown year on year serving the needs of solicitors, the public and private sectors, and the food industry. 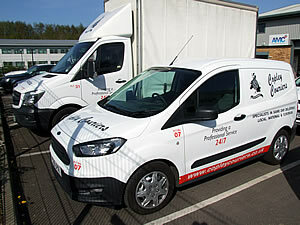 We are the only courier company in South Yorkshire to employ all their own drivers. That is why you can be sure that your goods will be delivered properly with Copley!